Shelby & Ben - edit spaces. Shelby and Ben live in a charming bungalow in Clarksville. 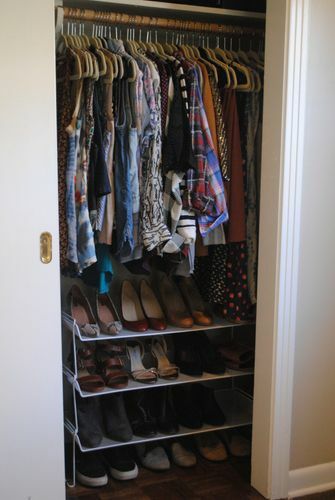 But as often happens, what they have in charm, location, and natural light, they lack in closet space and actually, just space. Shelby and I got down to business and over three hours their bathroom and closets were completely rethought. We started in the bathroom by taking everything off the shelves and giving each product a hard look. Shelby works with Beautycounter, so it was especially important that all her products could be easily located. 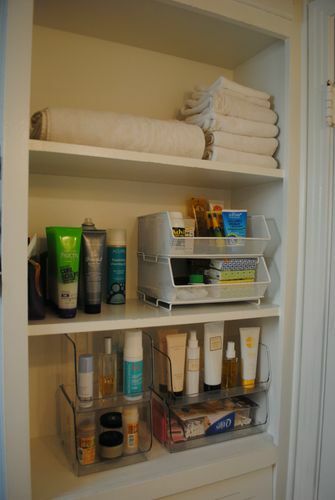 Products that had expired or were no longer in rotation were recycled or donated and stacking bins and hooks were used to create separate areas for the couple. Next up was their doozy of a closet. 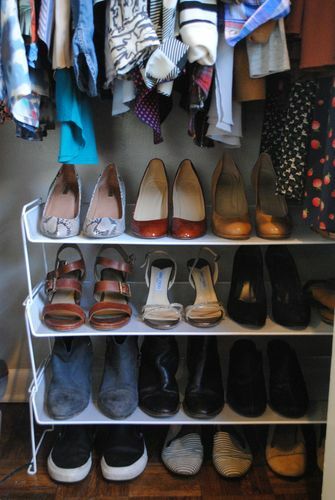 Slimline hangers helped maximize the space, clothes were grouped by type ,and shoes were vertically organized. The work was a success and Shelby was so inspired by the new system that she continued to blaze a trail through the rest of their house! Shelby and Ben's space is the perfect example of how often a huge difference can be made over a mere afternoon.